Harvard University Press, 9780674019744, 616pp. The hand is an organ of considerable capability. With it we feel, point, and reach, we determine the texture and shape of objects we palpate, we emit and receive signs of approval, compassion, condolence, and encouragement, and, on a different register, rejection, threat, dislike, antagonism, and attack. 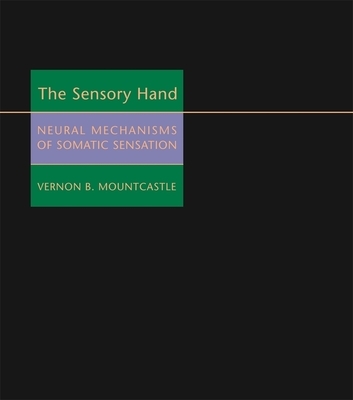 Vernon Mountcastle has devoted his career to studying the neurophysiology of sensation--the extended sensory surface, consisting of skin and subcutaneous tissue--in the hand. In The Sensory Hand Mountcastle provides an astonishingly comprehensive account of the neural underpinnings of the rich and complex tactile experiences evoked by stimulation of the hand. Mountcastle focuses attention on the nerve pathways linking the hand to central neural structures, structures that play a role in several other aspects of somatic sensation. His new book thus becomes a sequel to his earlier volume, Perceptual Neuroscience, in which he offered a detailed analysis of the role of the distributed systems of the neocortex in perception generally. Written by one of the giants of modern neuroscience and the first single-authored book-length treatment of the subject, The Sensory Hand is a major work of scholarship that will be essential reading for anyone interested in how the brain registers sensation and perception.